Two Step Total Transportation Worldwide offers business class chauffeured transportation and shuttle services for travelers and corporations. 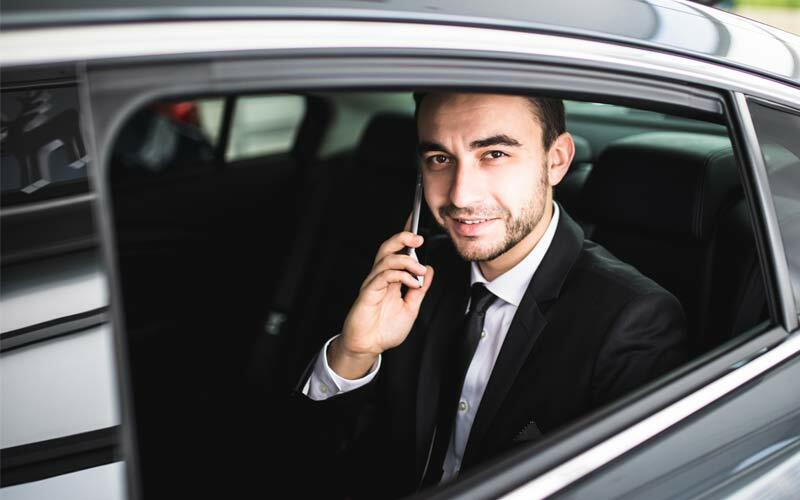 From individual service to group transportation, our diverse luxury fleet and professional chauffeurs will provide you with a pleasant travel experience with emphasis on safety and comfort. Two Step Total Transportation Worldwide provides convenient customer service 24 hours a day, 7 days a week. Our transportation reservation specialists are always ready to help you with any questions you may have and take a reservation over the phone. We also offer a state-of-the-art online reservation system. Through our dedicated online booking system, customers can login and place reservations, keep and check confirmations and print out receipts. View our Online Reservation System. 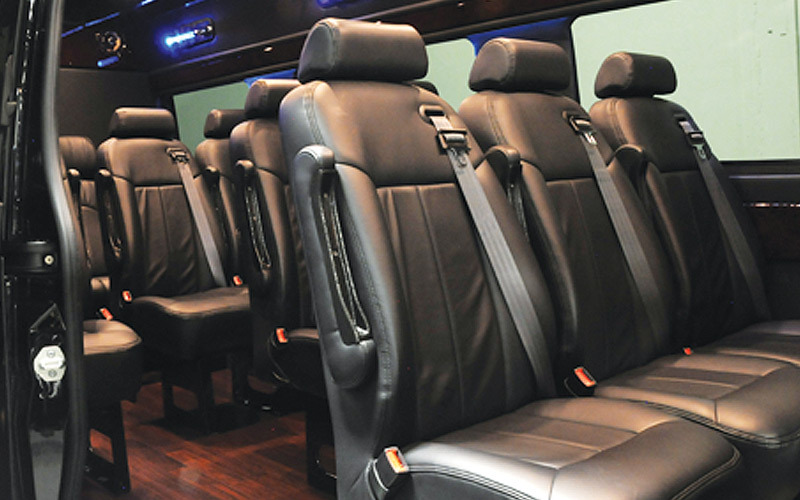 We offer a complete fleet made up of professional shuttles and ground transportation vehicles ready to make your next travel experience comfortable and stress-free. You will find our vehicles clean and well cared for as we strive to bring each client the highest level of chauffeured transportation experience. Two Step Total Transportation Worldwide is Denver, Colorado's premier choice for corporate and leisure shuttle transportation services. Feel free to contact us at anytime to request a quote, reserve a vehicle on a specific date or see how we can accommodate your organization or group's transportation needs. For frequent and corporate travelers we offer corporate accounts and can help you reduce your transportation expenses through our corporate services. We are looking forward to serving you in the near future. With just one call, our support team will arrange all of your ground transportation and deliver consistent, professional chauffeured transportation services throughout Colorado and worldwide. Our chauffeured services offer businesses and frequent travelers a true one source solution for all their private transportation needs. Two Step Total Transportation Worldwide offers online reservation requests. Please fill out our online form and we'll get back to you right away with a custom quote based on your transportation needs. 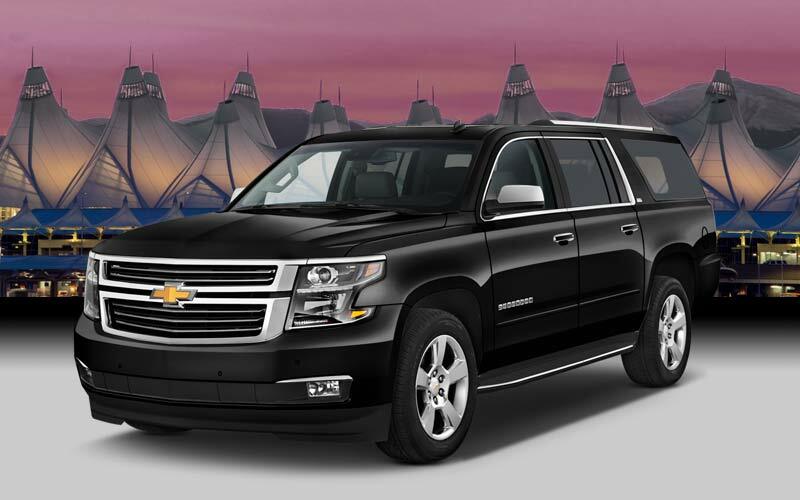 Two Step Total Transportation Worldwide delivers the best in class Denver corporate sedan and SUV services. Our dedication to personalized transportation services combined with our luxury fleet of vehicles make us an easy choice to meet all your Denver executive sedan and car chauffeured transportation needs. We are conveniently located just minutes from the Denver International Airport (DEN). When you need to make that first great impression on a new client or you have multiple guests arriving at different times and need them all brought to your event location, Two Step Limousine will manage everyone's safe arrival and departure to and from your meeting or event. Meet & greet services are available through our airport representative or concierge. Two Step Total Transportation Worldwide provides today's businesses with affordable and reliable Denver executive shuttle transportation services. 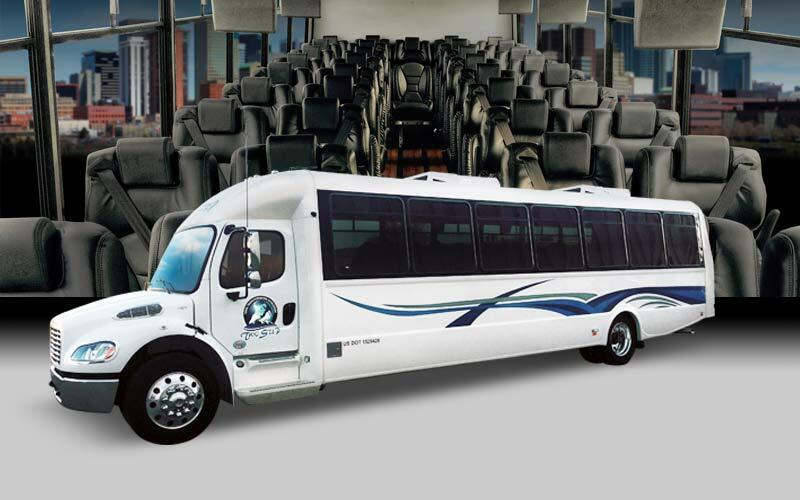 Our Denver corporate shuttle services provide vehicles that travel from point to point, fixed routes or a multiple stop transportation. 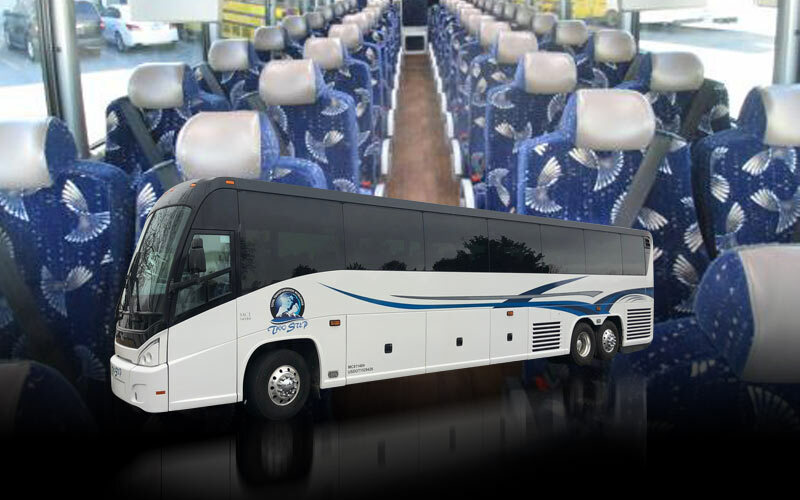 Our fleet of shuttle transportation vehicles are made up of executive Sprinter coaches, corporate shuttle coaches (26, 33 & 42 passengers) and motor coaches. 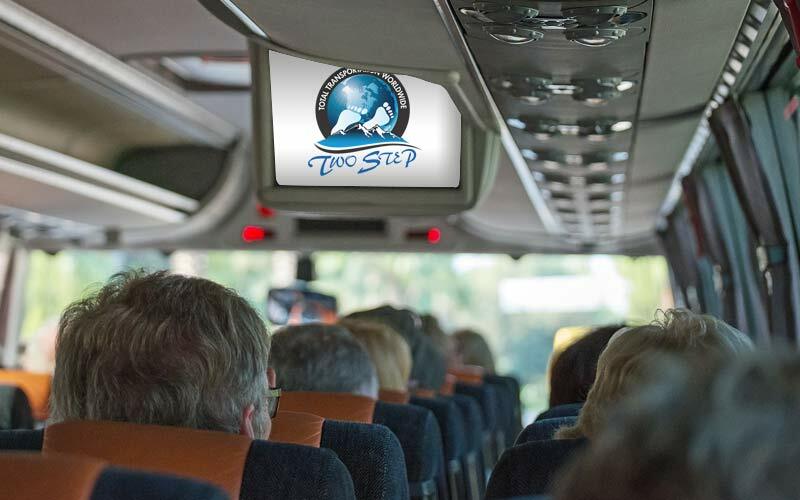 Two Step Limousine provides group transportation services that include: business travel groups, airport transfers, convention group transportation and logistics, road show transportation, and more. We can accommodate all group sizes. Call us and we'll help you reserve the right vehicle for your next group event. Meet & greet services are available through our airport representative or concierge. Two Step Total Transportation Worldwide provides domestic or international travelers with professional airport ground transportation services at economical pricing. We can arrange to have clients picked up at any airport across the United States or in any city around the world. We provide door-to-door service as well as point-to-point airport ground transportation services for business travelers, frequent fliers and families. Two Step Total Transportation Worldwide offers a wide array of special occasion transportation and event shuttle coach services. Whether you are celebrating an anniversary, birthday or planning a night on the town, we will make your event unforgettable. We look forward to helping you celebrate your special event in complete luxury and style! Experience just how much fun it is to celebrate with friends or family in one of our luxury shuttle coaches or Lincoln MKT's. Since 1995, brides and grooms have experienced the professionalism, dependability, and the luxury of a veteran Denver wedding transportation company. Allow our Denver wedding transportation specialists to assist you with one of the most important days of your life. Two Step Total Transportation Worldwide can arrange your wedding transportation from beginning to end; providing a seamless plan of getting your family and friends from their destination to the church, reception, and back. We provide affordable luxury wedding transportation services throughout Denver, Colorado and surrounding areas. Prom night is one of the most memorable moments of a student's life. Two Step Total Transportation Worldwide delivers the ultimate prom shuttle coach transportation experience. Our dedicated and professional chauffeurs will make your prom transportation extra special and treat you and your friends as stars! It's important to book your prom coach service early to ensure your vehicle of choice. Our friendly and knowledgeable reservation agents will give special attention to every detail of the trip.